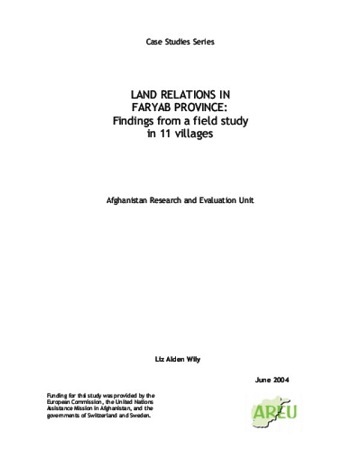 This report presents the findings from a field study conducted in Faryab Province in November 2003. It represents the second of three field studies on rural land relations conducted by the Afghanistan Research and Evaluation Unit (AREU). A synthesis and critical analysis arising from these three studies will be published by AREU in summer 2004.